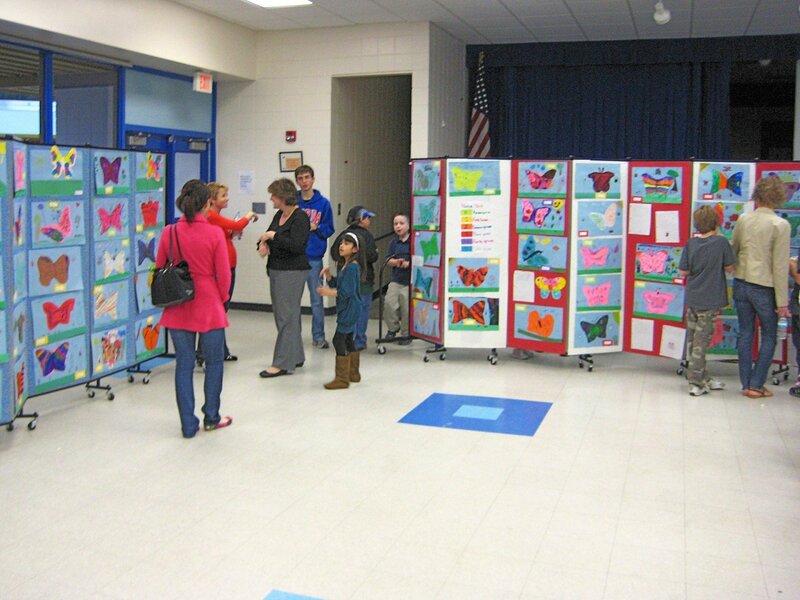 Uses: Art Display, Charter School, Education, Elementary School, High School, Middle School, Multi Purpose Room, Schools Colors: Blue Lengths: 13 panel 24'-1", 7 panel 13'-1" Heights: 6'-0"
The Cypress Woods Elementary School was looking to host an art fair during their open house but needed to create an artwork display for all grade levels. 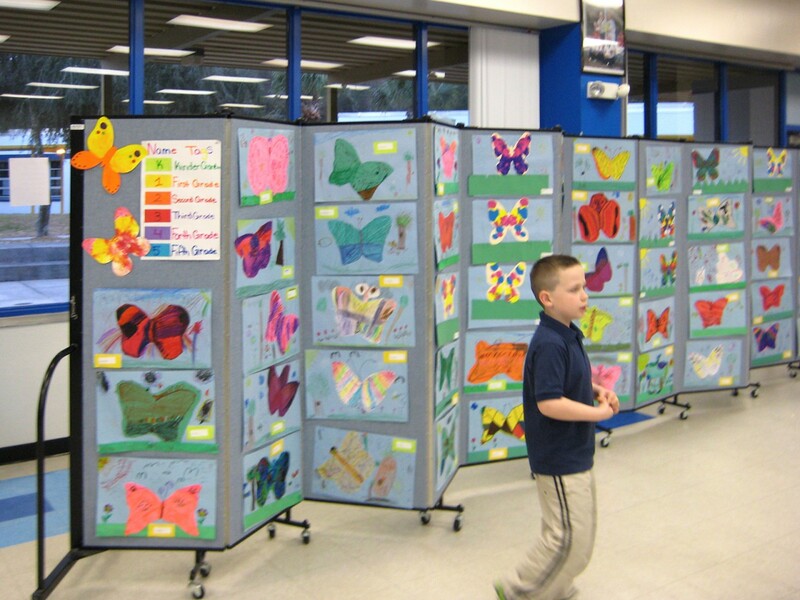 Using durable long-lasting Screenflex Portable Walls and Art Displays is the perfect solution. The artwork is tacked or stapled to the fabric panels. 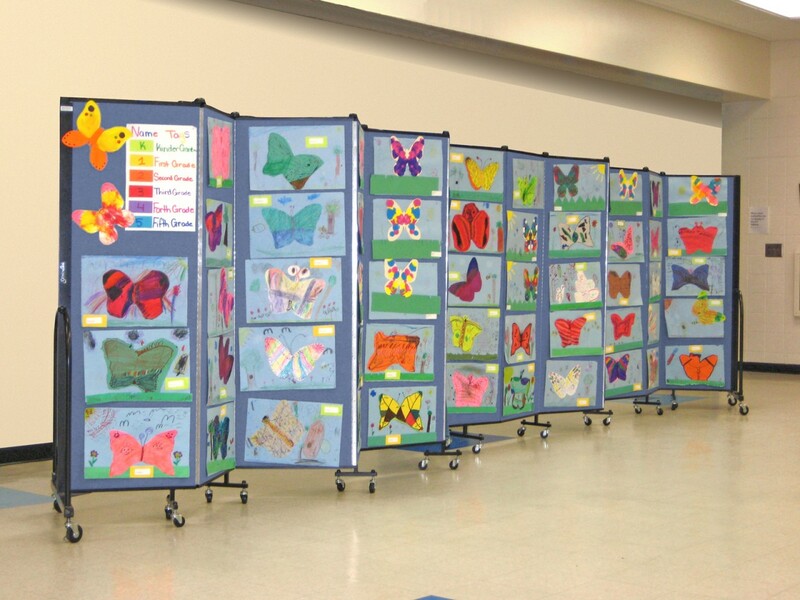 When the art fair is complete, the room dividers are used to separate a classroom in two for a differentiated instruction. Screenflex also makes 3 or 6-winged mobile displays.